New research carried out on more than 80,000 15 to 18 year olds by the leading website for school and college leavers has revealed that more than a quarter still have ‘no idea’ what they want to do once their compulsory education finishes. The study also indicated that less than one quarter of those polled are considering university as an option; with apprenticeships, college and gap years all popular choices. An extensive new study of British teenagers has given an insight into how 15-18 year olds feel about their further education or career options, as well as how much advice and information they’ve been exposed to about apprenticeships as a viable choice. 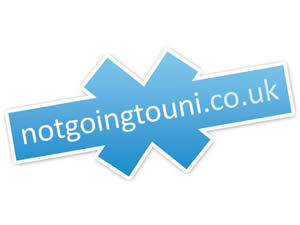 The team behind www.notgoingtouni.co.uk, a website dedicated to spreading awareness of the opportunities that exist outside of university, carried out the research on a total of 81,569 year 11-13 students from around the UK. Each participant was aged 15-18 years old, with the gender breakdown of the study worked out as 50.8% male and 49.2% female. The study took place over a period of 15 months, as part of a tour of UK schools and those considering their post-16 options. Participants were firstly asked to imagine their future, after being posed the question ‘Do you know what the perfectly happy you from the future does?’ the majority of students (45.1%) stated ‘I have a good idea but I can’t see how to do it’ with 27.1% saying ‘I know absolutely’ and 27.7% having ‘no idea’. When asked who they were most likely to go to when in need of career advice, the majority (34.9%) said 'parents', with 18% stating they would seek the help of a careers advisor and 22% declaring that they ‘would not need any help’. More than half of students (51.9%) would ideally like career advice given to them ‘face to face’, with more than a third (36.6%) preferring ‘online advice’. Those students considering university were asked to reveal the main reasons behind this decision, with 28.7% believing that it would offer ‘a better chance of a higher paying job’, 17.6% stating that they thought university was the ‘best environment for learning’ and 16.4% wanting to go ‘to experience the social life’.